Here is yet another photo that I shot during my time in Reinfeld. I am back in Lübeck for a while, and I do already miss the morning hikes through the nature with all the birds, but it’s now more important to be close to the hospital. 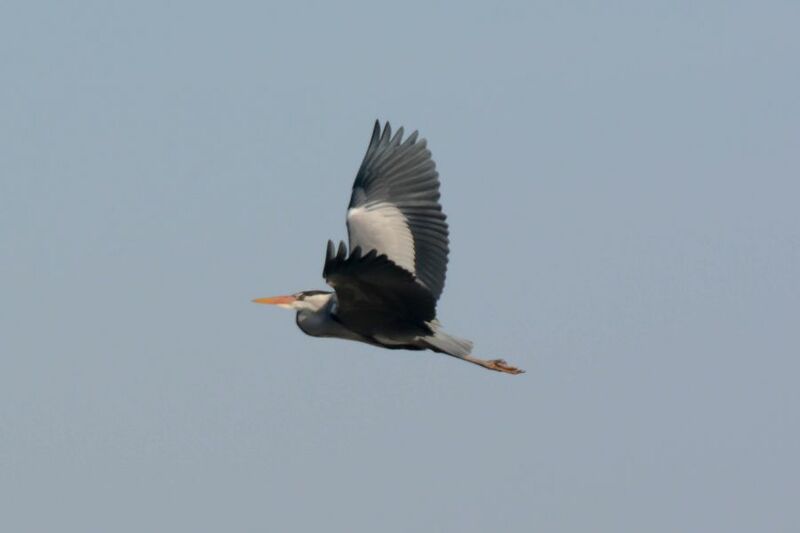 Talking about the photo in this post, I tried to take a picture when I saw this flying gray heron, and the result is not too bad, but sadly too blurry as I had to crop a lot. Anyway, the subject is still recognizable, which is why I like the photo anyhow.